Computer Programming is interesting because when you start doing something it will definitely lead to more than that and give you more ideas to try different things all the time. I have started with the Label Animation methods and thought of presenting one or two tricks but we have gone through five different animation methods by now. We are going to learn one more trick with the same Form and Labels, which we have used last week. All you need to do is to copy the new VBA Code given below into the Code Module of the Form. In this method the Color of each letter of the Employee name is slowly fading away to distance. The size of each letter of the name is getting reduced at each step and the letters are displayed at a fixed time of interval giving it an animated and three dimensional effect. Let us try the new method. Make a copy of the Employees Form we have used last week with twenty small labels with the Name Property set the with the Values lbl01 to lbl20. 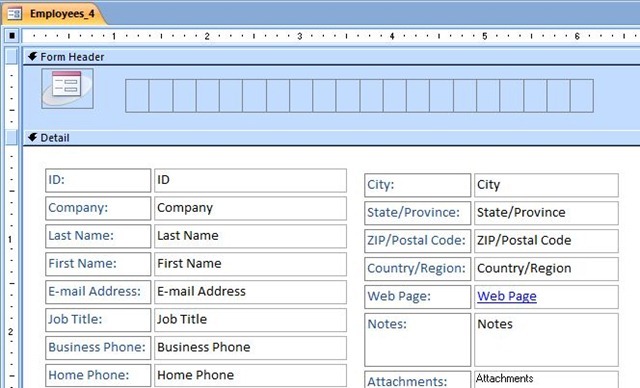 Open the Employees Form you have copied in Design View. Save the Form with the Code and open it in normal view. 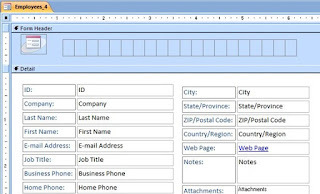 Use the Record Navigation Button and move the record forward or back and watch how the Employee name is displayed on the header of the form.